Since 1999, Nytech Heating and Cooling is your best choice for repair, installation, and service in homes and buildings just like yours in the Douglas County. We take special pride in the craftsmen we train and employ--a fact you'll see in the reviews below. It's also noticeable immediately in the attitude and integrity our technicians bring to your job site. Our entire company works hard to make your experience with us hassle-free and enjoyable. You can also be assured that Nytech Heating and Cooling stands behind the work we do as well as complies with all local codes. This is why, as you can see by the map and reviews below, we are rated so highly for AC, Plumbing, & Furnace Repair in Larkspur, CO. Call us today at 303-663-6840! Furnance went out last night. Was able to get same day service. Technician was polite, made a fast diagnosis and completed repairs promptly. Friendly and gave good advice. Benjie came out answered all my questions without rushing. Wore covers over his shoes to protect out floors. Great service & very knowledgeable! Benji was very pleasant & thorough explaining what needed to be done & how to keep it working properly! Great service and expertise. They really know what they are doing. If you want the best hire NYTECH!! 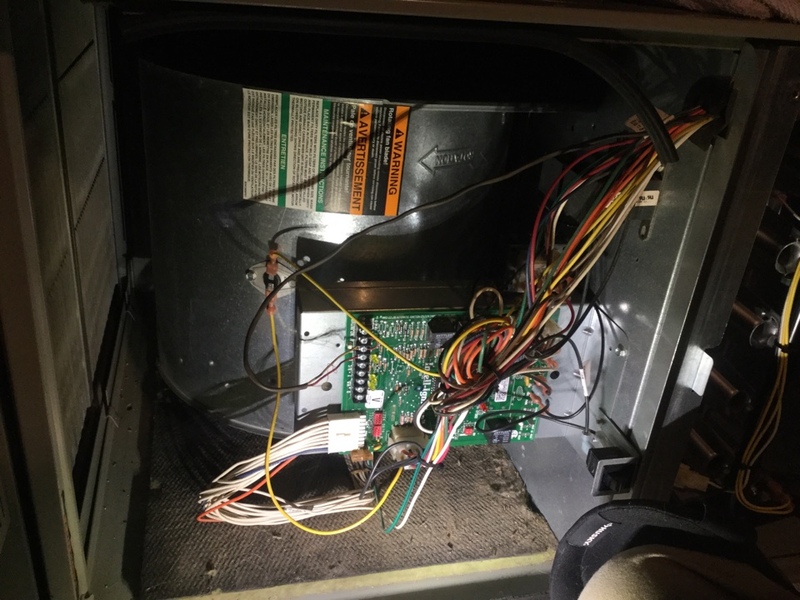 Service technician arrived on schedule, completed AC service call in thorough and timely manner; took time to explain findings. Nytec and Benji provide great service! We had a leak in ours A/C unit and Benji very clearly walked through what the issue was and recommended courses of action. He is very professional and knowledgeable. Would highly recommend. Always professional, courteous, and knowledgeable. Benji has serviced our furnace/air conditioning unit more than once and has always been very courteous, professional, and knowledgeable in his work. Had I taken his advice during a previous visit we probably wouldn’t have needed the next. I would recommend him and Nytech to anyone needing help with their furnace or air conditioning and have done so. Ricky was great. Explained everything thoroughly and took care of the problems. Beni did a great job and helped so much. Thank you! Nytech did a great job. Colt spent the time needed to address issues we were having and got our system working much better. Colt was very thorough, explained our issues and made suggestions for better airflow. In a world of less quality & service, Nytech exceeds expectations!! Mike and the whole crew habe been professional, efficient, and amazingly effective. They don't cut corners or give you a line of BS. They investigate, troubleshoot, and resolve problems. All the phases of our association; from Robbie's first assessment, Mike's diagnostic analysis to the installation by Colt & Wes were met with professionalism and efficiency. Everyone answered the questions we had and explained in detail all the options which confronted us. The installation of our compressor by Colt and Wes went smoothly. Our experience with everyone involved made replacement of our compressor occur seamlessly. Highly recommend Nytech. Tech is very thorough in all phases of heating and air conditioning.